Jordan on Wednesday stressed the need to work with the U.S. and the international community to promote the peace process. 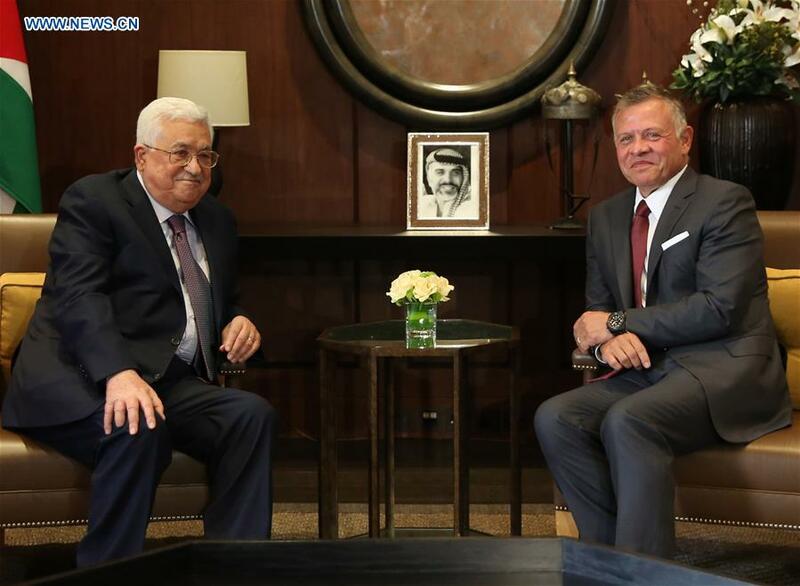 The remarks were made by King Abdullah II of Jordan at his meeting with Palestinian President Mahmoud Abbas in the capital Amman, where he said the focus should be on a solution that serves the Palestinians and the Palestinian issue. The Palestinian issue is one of Jordan's top priorities, the king noted. Jordan will continue its efforts for the relaunch of serious peace talks between the Palestinians and Israelis based on the two-state solution and the Arab peace initiative, he said. Meanwhile, the Palestinian president voiced appreciation for Jordan's role in defending the Palestinian issue.